Jaguar never built a pickup truck. Even while under the ownership of Ford, the company didn't dabble in commercial vehicles with a bed out back or a heavy payload capacity. It's unlikely such a vehicle would sell, after all. 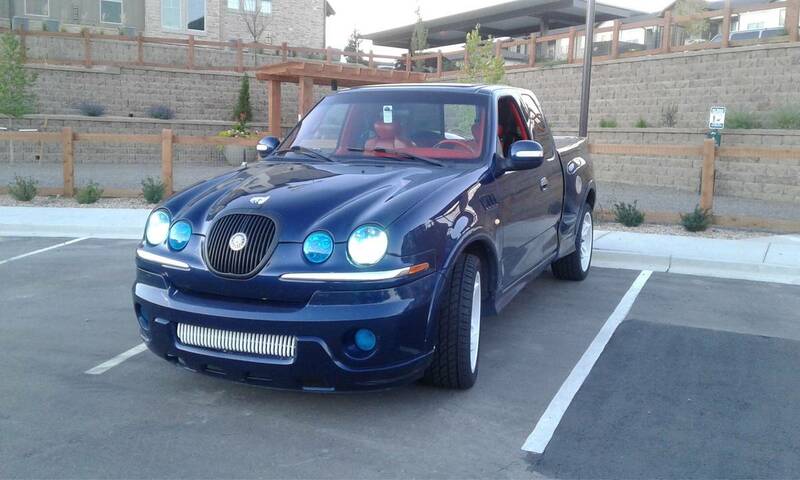 However, that hasn't stopped someone from converting a Ford F-150 into a Jaguar S-Type and offering it for sale on the internet's most entertaining marketplace: Craigslist. 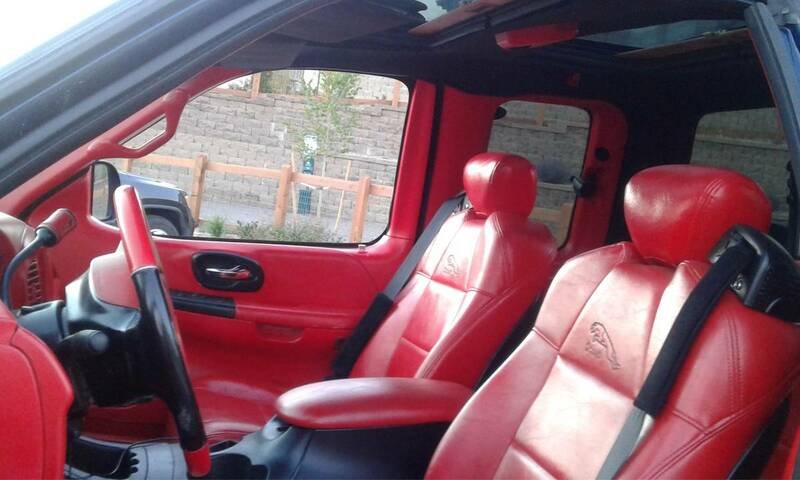 Over on the Denver CL classifieds, you can find this abomination. It's a 2000 Ford F-150 with the front end from a Jaguar S-Type sedan of the same year. In addition to the front end, the truck receives a custom interior treatment featuring Jaguar stitching on the seats. It even has two sunroofs for double the exposure to the fireball in our sky. According to the listing, it runs great but "needs some bondo work" on the hood and the truck has a few scrapes. Powering the F-150 is the company's 5.4-liter Triton V-8 which makes 260 horsepower and 350 pound-feet of torque in stock form. Some additional custom mods include a side exit exhaust on the passenger side only and a set of custom white wheels. 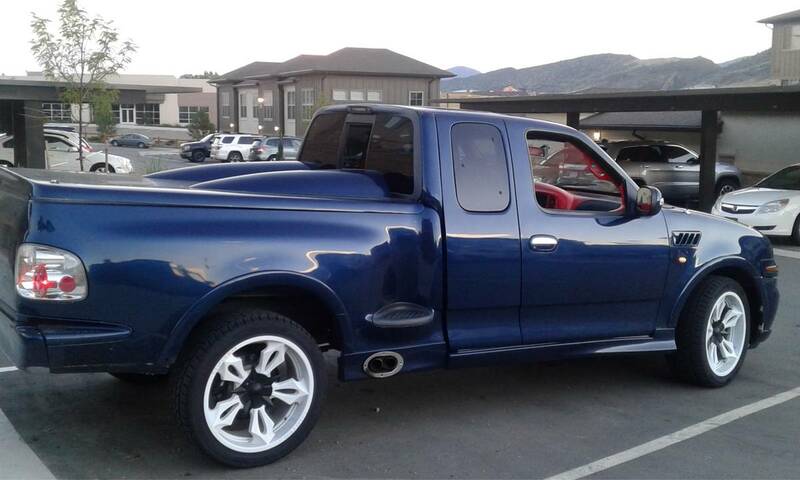 For just $7,000 you can drive one of the most unique pickup trucks on the road, but let's say you're not a fan of that color—you can have the seller repaint it for you before delivery for a total transaction price of $11,000. That also includes the repaired bodywork so you can have an immaculate Jaguar F-150 which will undoubtedly be coveted by your closest friends and rivals. Or is it a Ford S-Type-150?